What a difference a week can make. Weeks 5 & 6 were really brutal and killed my confidence immensely. I started to doubt any ability, my goals and why I run in the first place. Motivation was lacking and I got to the point where I was dreading workouts. Pretty much every run felt HARD. It wasn't that enjoyable. My coach was great, I let her know just how down I was and she gave me a bunch of questions and helped me analyze it. So anyway. I tried to start off this week with a different mental attitude. It was going to be a higher mileage week and I knew I had to be focused. What I think about when it comes to marathon training. Thursday: DAY OF REST. Woo to the Hoo. Saturday: I was mentally exhausted and knew my long run would be torture so I swapped out my Saturday and Sunday workouts: Cross train 90 minutes + 20 minutes of lifting. Here's looking at you NYC. Even though I only ran 4 days this week - I still hit 40 miles. Basically, every workout this week was executed perfectly. Running once again didn't feel impossible. 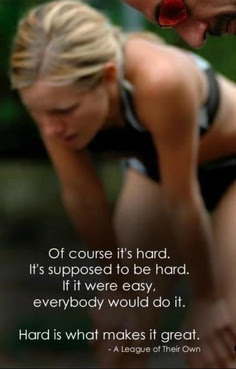 And the workouts that were supposed to be hard, yes were HARD, but in a good way. Hard as in get out of your comfort zone. I am going to make a cognizant effort to stop running what feels comfortable and push myself a little bit more. After that first run that went well this week, it was all I needed for a confidence boost and to readjust my attitude. So another week down, and here we are coming up on the half way point. Please slow down time, PLEASE! Your long run was awesome! You picked up the pace at the end. So it looks like you'll totally be good on your goal to push the pace a little more. Well done! What a great week! So glad you had a great week and confidence boost! Your training really has looked stellar and you should feel that!